I always find it odd to think that anyone reads this blog, but apparently, they do. Some might wonder that it has been a very long time between postings. They would be correct, this has been a strange year for me in many ways - and it just keeps getting stranger. 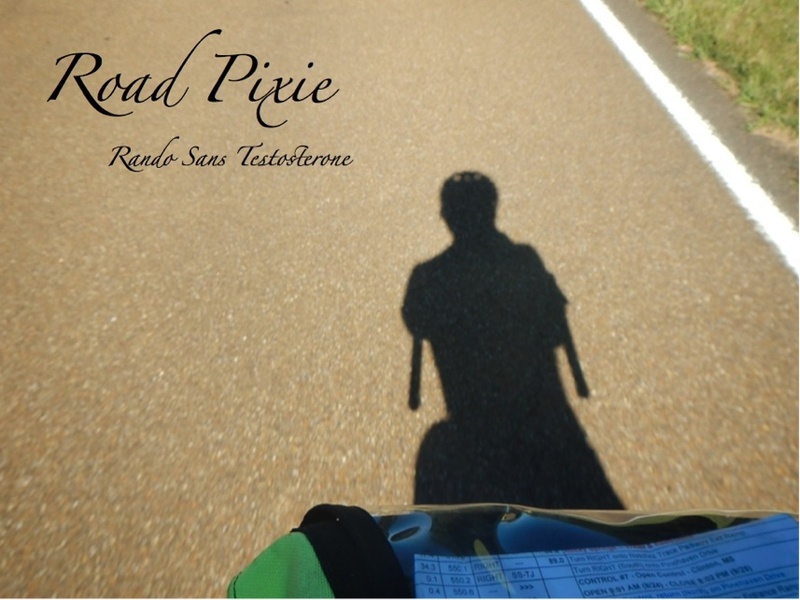 I debated for a long time about how to write about this ride. 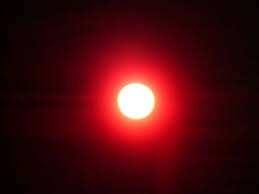 In the end, I decided to write about it as I experienced it, for the good and for the bad. In many ways, this was by far my best outing on a Grand Randonnee; in other ways, well....you will see. "Your blood work has markers for several things and the differential is very wide, but the internal bleeding, skin sores, asthma, and nasal involvement suggest a systemic vasculitis of some kind - we need more tests". Those are not the words I really wanted to hear from a specialist at the Mayo Clinic only 2 weeks before the 600k I had planned in Arizona. I'd felt weaker and weaker since the spectacular finish at LEL last August. By this time, it took days to recover from anything and even I had to admit that "toughing it out" was simply no longer an option. My grand plan for doing the Bavarian 1200k seemed pretty bleak. "You have an infection somewhere, we just don't know where, you will need to discontinue your colitis therapy and take heavy antibiotics for a few months. The CT of your head shows some inflammation and degeneration". Okay, time for a medical leave and let's cancel the St Louis 600k and the Cascades 1200. Maybe I can do a slow 200k? I'm reduced to drooling and don't sleep at night; the antibiotics are frying my stomach. Really, if you don't like what the Mayo Clinic has to say, you should consult ... your bicycle frame builder, Vincent. "You have to talk to Dr. Phil! ", he says at once. "He was my neighbor and that is really his thing". "Why I remember Dr Phil, isn't he that guy that we went to that dreadful remake of Robocop with?" "Your sinuses are really screwed up, antibiotics will never fix this, you need surgery. In fact, I think you may have blown an extra hole in the left one and that is just never good. This is my specialty and I think you will have life altering changes, breathing is NOT overrated". Me thinks there is an evil gnome lurking in my head and he must die. Dr Phil looks down at me in the recovery room. "The surgery went very well and I can confirm the gnome is really dead; I also rinsed out his garden with antibiotic rinse and shot his dog. Don't raise your blood pressure for at least a week. It will take a couple of months but with the infection gone you should see a huge improvement". IronK and Mom wheeled me around in a wheelchair. I took the full amount of time to recover and finally got a treatment plan for the colitis. The skin sores were still there, but some nifty drugs that also treat leprosy and spider bites knocked them out finally. I also saw that the 3CR was still open there is space on the ride. I started writing to friends in California from the Gold Rush and the Cascades. 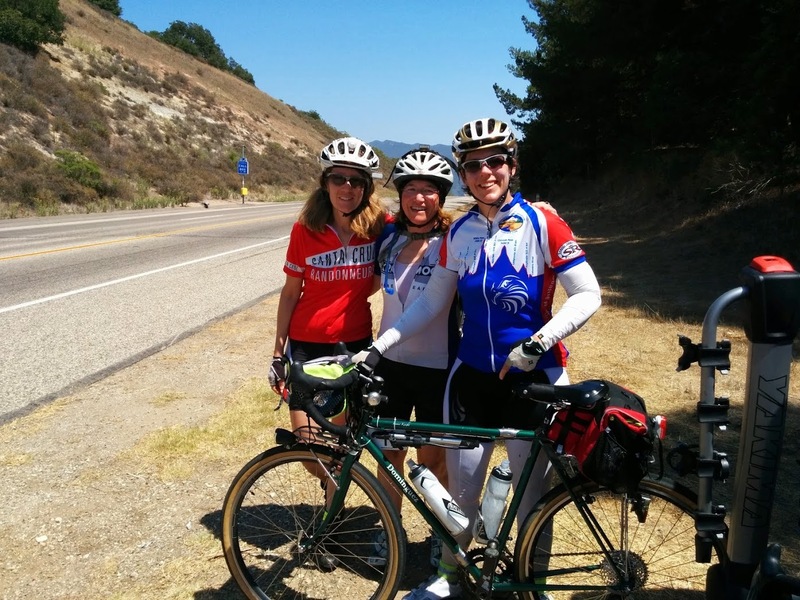 Stacy and Matthew from CA gave me all kinds of advice for the route and what to expect. Vickie from Texas offered to share a room and Geoff H from San Fran offered to ride share to get me back after the ride. Having been on leave for 2 months, I definitely needed a vacation and my manager went for it - though I had to settle for 1000k since I couldn't get Tuesday off and flights didn't work. 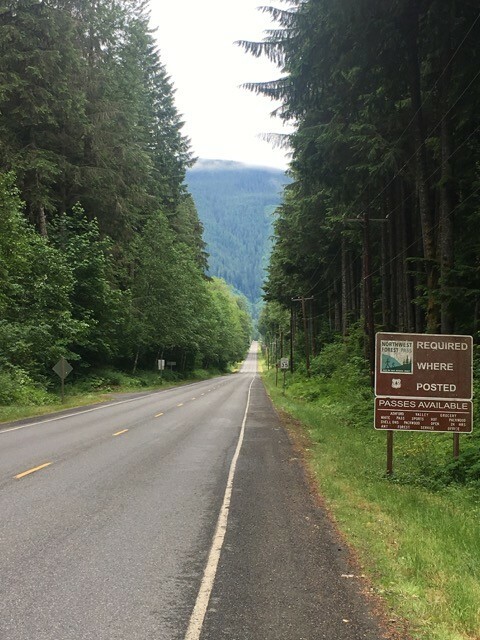 I told myself that I would approach this ride with only the expectation that I would enjoy my time on the bike and enjoy my friends and the scenery. Even if I didn't finish, it would be amazing to even be at the start. Manny, King of the Rollers, greeted me with a huge smile at bike inspection. "I didn't know you were coming and I will be there to help you at the Pinnacles". I remember climbing Janesville Grade with Manny. Charlie is also there with a big smile - "great to see you again". So many people I hadn't seen in a year, all with the anticipation that can only come before an event as big as a grand randonnee. Roland was also there - I have fond memories of walking up Adin Pass in the blistering heat. We all meet at the Chicken Coop and I sat down to lament Delta ripping me off for $150 for my undersized and underweight coupled bike. "Next time, tell them its exercise equipment," says Matthew. 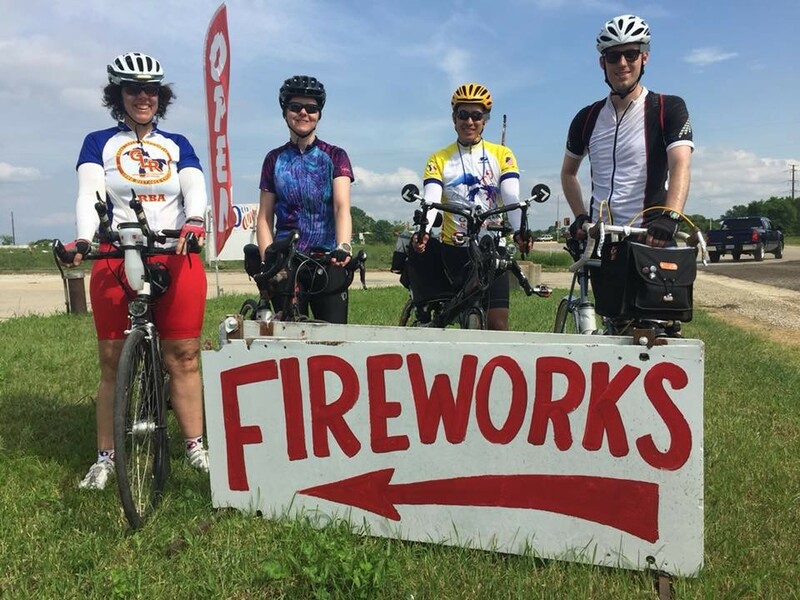 Matthew and I shared a bonked out moment at PBP in 2011 and pulled each other to the finish with Skittles and lots of marveling - he's one of those people that I always look for on a ride and had invited me out 2 years earlier for the first 1000k using the route. It was 5 AM and time to not be late to the start! Vickie and I rolled through the hotel saying goodbye to her mom, the fabulous Dottie. Dottie agreed to cart our stuff to the hotel along with food to avoid wasting time. She is one of the more prolific grand randonnee volunteers and one of the nicest ladies I have ever met; she and my mom should get together someday and compare notes. I prepared for this ride by pretty much exclusively riding the tandem up and down hills with IronK. The single bike almost felt alien after weeks as the captain of a tandem. I told myself over and over not to overdo it on the first day. Everyone warned the second day was harder by far. As we gathered around, Bill Bryant gave last pointers and we were off in brevet style. That means there is much creeping along and clicking of cleats for about 50 yards. Then we all amoebaed our way down the street like the Blob hitting a small town. That phase didn't last long and I tucked in behind Greg, Stacy and Matthew; Vickie was a bit back. We managed to stick together for a grand total of 6 traffic lights before I chickened out and stopped for a "reddish yellow" one. Next to me were Alex (also from the Gold Rush) and Ted. Alex realized quickly that 7 miles in, he forgot his bottles in the car. Ted and I continued as he averted a disaster by calling the mother ship (his wife). Unlike the Gold Rush, I paid very close attention to how fast I was going and how much effort I was using. At 25 miles was Old La Honda Hill and no way did I want to burn out getting there. At some point, the peleton, previously stuck at another traffic light, caught up and we all made our way to the bottom. Hmm, this hill was advertised with grades around 12%. Time for pie plate mode - I had a 34 front chainring and 36 rear cassette and I was not afraid to use them. Someone on a brevet once lamented that photographers on cycling events always take pictures at the top of the hill when you look your worst. 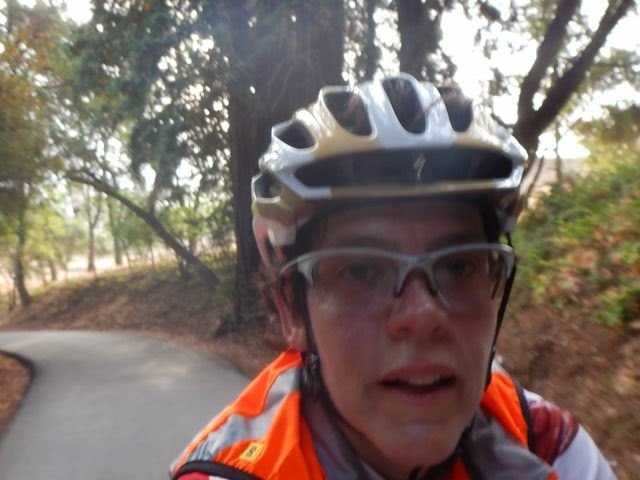 It appears that I myself am no better as I snapped my first pictures of the ride (I am terrible at taking selfies too). It was really humid - I wasn't working that hard - really! I climbed up Old La Honda like a little gerbil. The first SAG vehicle passed me with a thumbs up - that was Elaine who I would later meet and La Grenada. I have to absolutely credit the many volunteers who ran the SAG vehicles. They did a superb job of being helpful and making this a great ride. This is a very remote ride and though I was never desperate, it was one less thing to worry about. Climbing through the redwoods was one of the more spectacular parts of this ride. Massive trees become more massive when you are not in a car. I also marveled how houses would simply appear out of nowhere, nestled in the sides of the steep hill. Info Control and ... where are we going? This was my first siting of Bob from New York. All randos know that no one knows you by your full name, you are officially known by your first name plus from "fill in place". Thus, I am Michele from Minnesota, though later on someone else declared me to be Michele, the endangered randonneuse from Minnesota after a car nearly T-Boned me in Santa Cruz. After the long climb up came the first thrilling downhill of the ride. I spent at least 80% of this ride going either 6-7 mph or going about 40 mph. It's the hilliest route I have ever had the pleasure of being on. I feel as though my thighs have now reached epic proportions, though that might just be swelling. I regrouped with Alex at the end of the hill and until the next hill (not long) several of us cruised along at a nice pace. The next climb brought us to our first encounter with Hwy 1, thus beginning a love/hate relationship rivaling Sue Ellen and JR on Dallas. Though I was going too fast to take a photo of my first view of the California Coast, it will stick out in my mind for the craggy beauty and the delicacy of the fog that still hung in the air. The sun had not yet made an appearance and the winds were very light. A perfect cycling day. We turned inland again for some climbing and descents into various hollows (at least that is what they call them in Ohio, where I am originally from). Very pretty and I hooked up with Chris from California who had also ridden the Cascades. We turned out to have ridden with some of the same people on various rides. I also met Don from San Francisco and his pet bear (I admit my goat at home should probably have come on the ride). The three of us along with Alex powered in to El Grenada on Hwy 1 with no problem. The control was bustling, especially for a really odd convenience store that has very little food. I grabbed a Naked, a big pastry, filled bottles and cleared out pretty fast. But I did get a nice shot of Don. The bear even wears reflective gear! After El Granada, we had many miles of ocean side riding and we even got to go up that hill I had loved descending so much earlier. It continued to be nice and cool and I talked quite a bit with Don who was to be an on-off companion all day. Don and I rolled into Pescadero together and as it was an open control, I placed myself in his hands to pick where to go (always ask the local rider). So we went to the bakery, where I bought a huge chocolate croissant, a Ritter Marzipan bar, lemonade and water. Everyone was loafing around as we were now at about 90 miles and it was closing on 1 pm. I inhaled the croissant, filled bottles, threw the Ritter bar in my bag and took off in under 10 minutes. As much as I wanted to stay and chat, I also know that the clock ticks on and there were lots of hills ahead. I pedaled out alone and ate the Ritter bar as I went. The sun began to burn off the fog and I finally got a better shot of myself. It's the chocolate high! And the sun coming out! 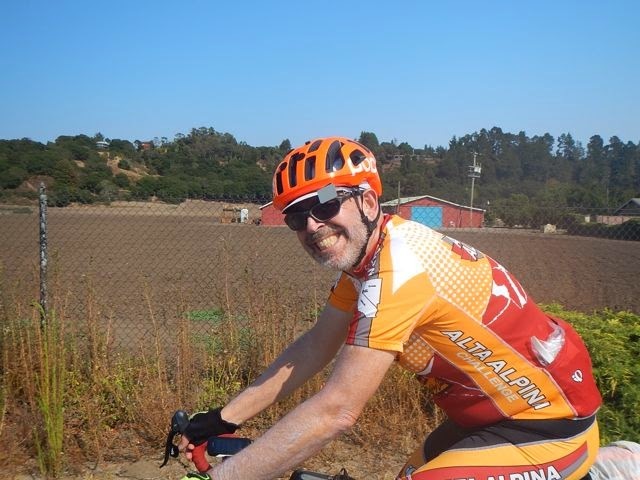 The next few miles of backroads were gorgeous and Alex and Don caught up for the next assault on Hwy 1 into Santa Cruz. This section was actually very fun with a big tailwind, lots of ocean and a nice shoulder. Chris caught up as well, though he dropped off just before Santa Cruz. Alex and I hooked up for the Santa Cruz loop and he warned me about traffic in town. "It's a long slog and we should get water before leaving". We got the water, but no bathrooms available at 7-11. At this point, Jack caught up as we filled bottles and the 3 of us resolved to stop at the bike shop for the bathroom (really, how can they say no?). 10 miles, a near collision and lots of traffic later, we arrived at the bike shop where Jack needed a bento box, Alex's tire turned out to be flat and my headset turned out to be loose. Talk about an A+ stop, we even had danishes at the coffee shop as they quickly fixed our bikes. All in all, we were out of Santa Cruz at 3:00 pm and I was pretty pleased. The day was sunny and the town quickly receded as we once again started climbing. Jack and I were together and chatted at length about all kinds of cycling topics. A great guy to ride with if you get a chance. How's that for a smile? We finally caught up with Matthew, Stacy, Greg, John, Alex and the rest of the gang at the next info control. Stacy took pictures and I will have to get that one. We had a long climb followed by another spectacular descent into the valley outside Aromas. Matthew, Jack and I crossed over the highway having lost the others and came into Aromas for very tasty and quick burritos. I mean faster than fast food kind of quick. The cashier laughed at me as I grabbed for cookies, water, candy and other things while simultaneously fishing out my wallet and eating the burrito. "All of you do that, it's cute". I did not linger here either and Jack and I climbed Carr Road carefully (I had just crammed a burrito down my throat). Low and behold, Ken Bonner passed us - he's a legend in the sport, we reasoned he had probably done a marathon between info controls but alas, I later found out that tendonitis can take down the best of us. He is a very nice man too - I had the pleasure of chatting with him before the ride. The next few miles to Tres Pinos were also enjoyable and rolling. We got to Tres Pinos before 8:00 which was great because the store was still open and I got some juice. The sunset at our backs was amazing. But I didn't want to wait and I left alone thinking Jack would catch up. It turned out that Don caught up with me and we chatted a bit before the final climb up to Pinnacles. He was faster than me on the hills so I let him go and enjoyed the climb and the final minutes of dusk. It was just on 10 when I rolled down the hill to the Pinnacles control. There was Manny, as promised, he took my bike, filled my bottles and gave me a little pep talk along with a cliff bar and a chair. Again, I was so tempted to stay awhile, but the overnight was only 30 miles away. I got up and took off - a move that apparently surprised some people. Time to get back on the bike! The next 10 miles or so were pleasant on top of the plateau. The stars were beautiful and the moon was serene in the sky. A couple of cars passed and I kept wondering if there was a bike behind me, but every time I looked I didn't see anything. I made the final turn for the last climb of the day and I realized it was getting cold. I resolved to stop at the top and put on arm warmers before the 12 mile descent into King City. Sure enough, as I put them on, a bike came up behind me. Why it was Bob from New York! We chatted each other up all the way to King City and stopped for milk at the AM PM outside the control - I had recovery mix in my drop sack that would be much better with milk. So at 1 AM, I finished the last of the day. 232 miles and something like 13,000 ft of climbing from the start. 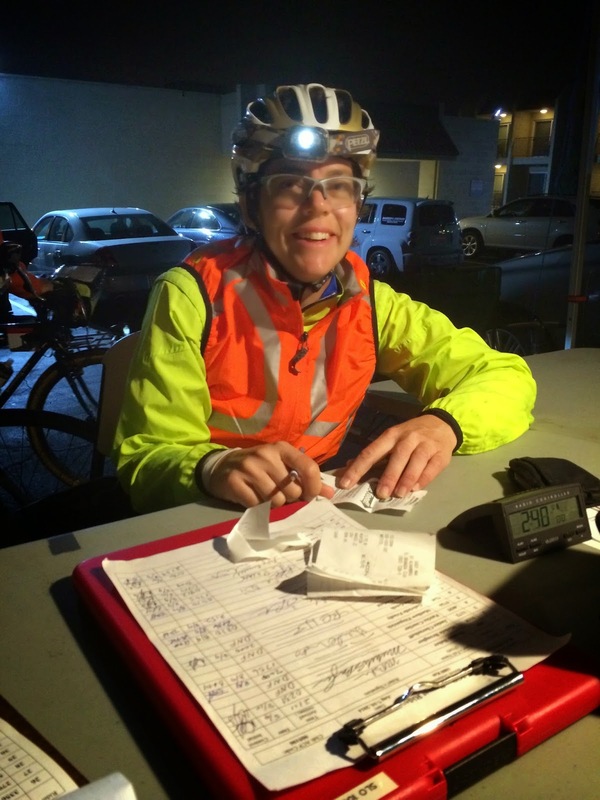 I like to sleep about 3 hours a night on a brevet. That worked great because I had 5.5 hours in the bank. I showered, switched out food on the bike, pigged out and was in bed in half an hour. Vickie wasn't in yet. I had again resolved to heed warnings about Day 2 and avoiding headwinds in the Salinas Valley. I set the clock for 4:15. Vickie came in at some point and I remember telling her I was leaving at around 4:45. My eyes opened just as the alarm went off. Vickie was already ready - "I just got here 45 minutes ago". She had been riding with Charlie and Jim and had been unable to convince them to leave early. So the two of us left together and went off into the dark. My legs were somewhat jelly like and it took awhile to wake up for both of us. It was also all a false flat going up. 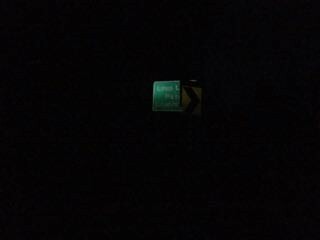 We turned onto G16 and passed through Greenfield looking for a store to tank up at. None to be found open we continued on. I was also desperate for a bathroom. Nothing to do about that but hope for something later on. Okay later on was a really long time - like at the info control where I finally decided that there really wasn't a big difference between a toilet and a concrete traffic barrier. I wish I had taken a picture of Green Bridge. It was really - green. At this point, we came upon Nancy and Chris from Seattle. I would wind up riding with Chris for most of the morning. 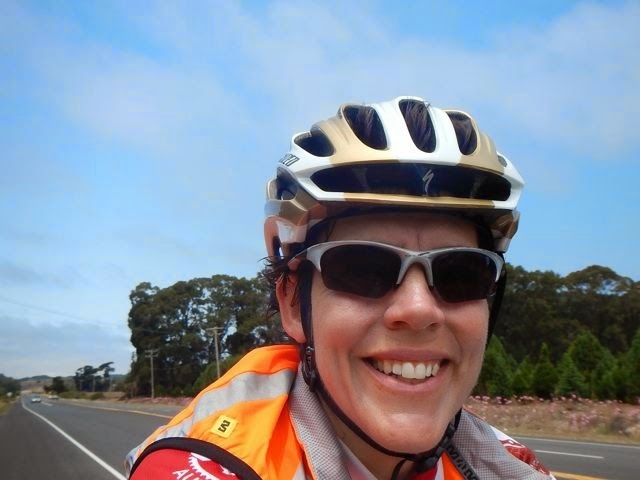 Vickie was a bit back with the hills being somewhat difficult for a recumbent. As expected, she blasted us on the downhill. This area was known for agriculture and this was harvest time. 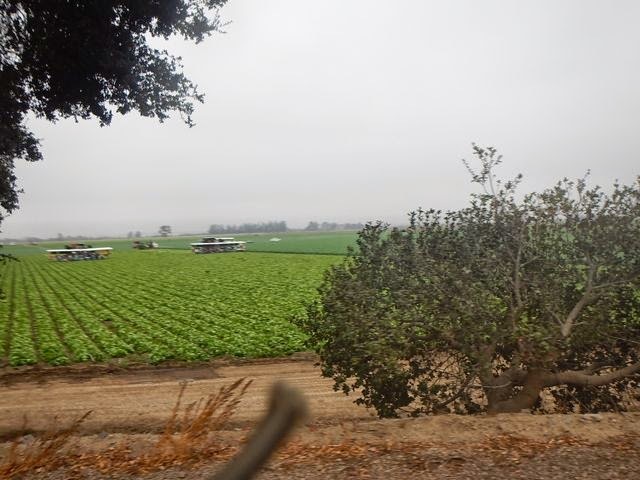 Large barges of people with loud latin music were out in the fields picking acre after acre of cabbage, beans, etc. Helicopters flew overhead spraying pesticide. I thought a lot about what big agriculture really means. Chris and I stopped at the Shell Station for a fuel up instead of the 7-11. At the 7-11, I ran in and grabbed some gum for a receipt. There was Vickie having bombed down the hill. This control was at 75 miles. It was just past 10 am and we had beaten the wind! I saw from the flags that it was starting to pick up. These were some of the toughest hills on the route. Double digit sections relentlessly pounded me as I grated my way up. Being on an upright, I could at least stand and pedal. Vickie did it without that. At the very top was Chris. "That was the most viscous evil I have ever climbed," I sighed and did a gel. "It's the most vicious evil I didn't have to walk up" was his response. I was looking forward to the descent. Okay, 2 minutes later I was on Hwy 1 in heavy traffic on a double digit descent with a limited shoulder hoping I would make it to the bottom. It's one of the more difficult descents I've done. I wondered briefly if I could collect my brevet medal with a halo. The next 23 miles to Big Sur were the most beautiful, terrifying miles I will ever do. 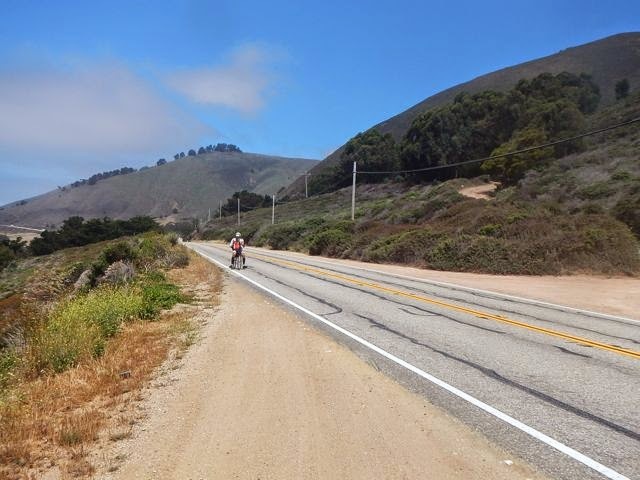 The California Coast is just beautiful, but in places the shoulder was 6 inches, the rollers were considerable, the traffic was relentless and I did my best to ride just to the right of the line (without falling in the ocean). About halfway through, my savior showed up. I pulled off in a turnout to take my only pictures and get break from the traffic. Up came Matthew and he stopped to pull in next to me. "A little less traffic might be nice, but this is actually pretty good for this road," he said, "don't ride so far over, the cars won't try to give you any space. Ride just on the white line or a little left so they have to go around you". He also road with me for several miles so that I could learn the ropes and kept the traffic off me. I finally lost sight of him on the descent into Big Sur. 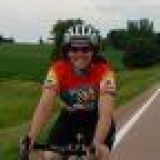 Recumbents and their super speed on descents! I will never beat a man down a hill. 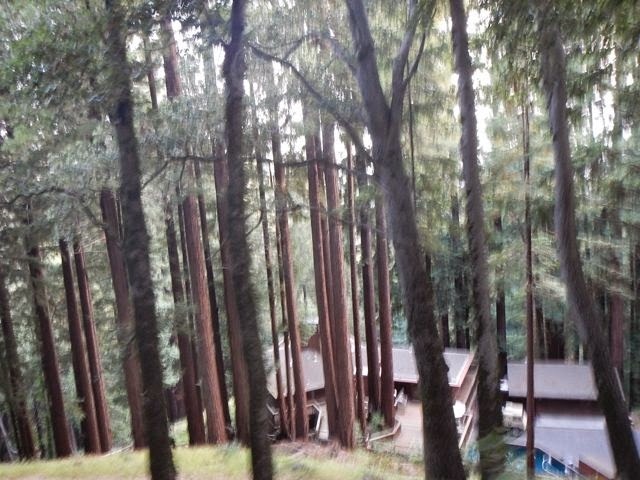 Everyone was in Big Sur getting food. I used the bathroom and tanked up on ice cream, a hot dog, an energy bar, 2 cokes and some cookies. Outside, Bob from New York wasn't feeling well and was having a sandwich in the shade. I filled up my bottles and got back on the bike reasoning that there was a huge hill in front of me and I wanted to be moving. I climbed as slowly as possible. Matthew had advised that there would be less traffic south of Big Sur. About 5 minutes later, Bob from New York called out behind me. "I'm on digestion pace and going slow," I warned. "That's okay, I'm trying out your approach" was the response. Bob on top of the Big Sur Climb. We wound up being together for the rest of my ride. We leap frogged with Vickie on the steep rollers for the next hour up until Lucia where Matthew, Stacy and others were with a SAG vehicle. 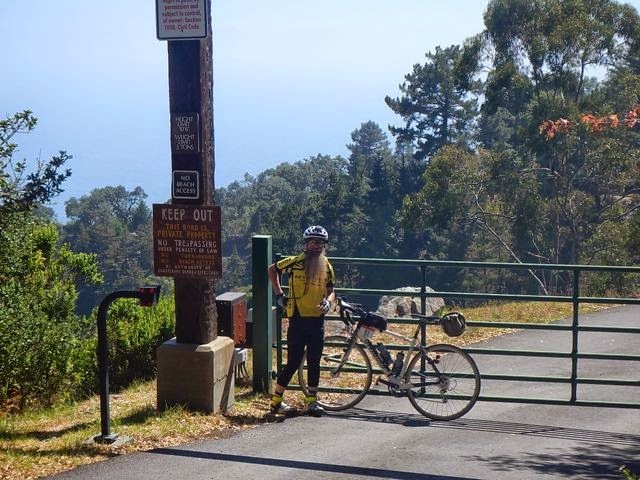 Only 25 miles to Ragged Point. I asked for the time, it was 5:18. We were warned that the 12 miles from Gordo to Ragged Point were really difficult and both of us had visions of it being a 3-4 hour trip. The control closed at 10:30, would we make it? So we downed some chocolate milk and were off. The next 13 miles to Gordo went quickly. Our resolution was to stop briefly for a bathroom, do a bunch of gels drink half our water and hit the final hills as steadily as possible. We got to Ragged Point around 7:20 and what a relief. We missed the doom somehow. Louise, who I knew from the Cascades, served food. Anything vegetarian? Bob was a vegetarian and was not looking favorably at the chef boyardee raviolis I was eating. "I would like to point out that there is no evidence that there is actually meat in this" was my response. I also had an avocado, cookies and some other food. A few bumps and mainly flat was to be the last 57 miles to San Luis Obispo. Bob and I cleared out quickly and I finally forgot something. Okay, I was thinking it was closer than it was and that it was flatter than it was and that it was warmer than it was. I found myself nauseous for the first and only time on the ride at this point. I'd ridden too hard after eating and had gotten chilled to boot. The ride was beautiful at this point - right next to the ocean but with temperatures that seemed to go up and down like the waves. I finally decided to take drastic action. I gropped around in my bag and pulled out a Zofram (the only benefit to having a horrible digestive disease is having a some really killer anti-nausea stuff). That and I put on some more clothes. But my strength was pretty sapped and I didn't want to take caffeine. I struggled to stay awake all the way to SLO. Bless Bob for staying with me. We really cranked at one point to catch up to Vickie, which we finally did, but she blasted away on the next downhill. I can only admire a woman who can ride that hard for 2 days straight with no sleep. 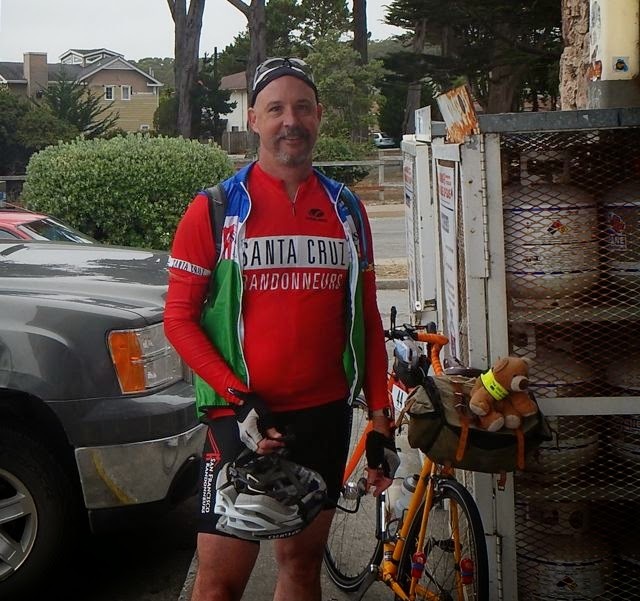 So Bob and I cruised into SLO at 1:30 AM after 207 miles and about 12,000 ft of climbing. Everyone had been right. Day 2 was the toughest day of the ride. We agreed to take off at 6 AM for the final day of my ride and the 2nd to last of Bob's (he was doing the full 1200k). Fortunately, we were both at the Vagabond Inn - appropriate, we looked a little rough. We checked in at the control and headed to the hotel. Vickie had arrived a few minutes before we had and was getting ready for the next day. I had an Ensure, fruit, and some more food easier on the stomach. My lights went out as soon as my head hit the pillow. My head then bobbled very hard as I came back into consciousness. My stomach was much better but I didn't want to risk it. I drank 4 Ensures and some naked juice. I was out the door right at 6:00 am. Bob and Vickie were a little behind but we all rolled out together. Only 184 miles to go. So the next miles to Guadalope were sort of like an agricultural bonanza. Rolling hills and long stretches made it hard to concentrate. Bob and Vickie and I puttered along still waking up. We stopped at a gas station and I had a bunch of food and a bunch of coffee products. Not sure which one was better. The next hill was long and Bob caught up to me at the top. 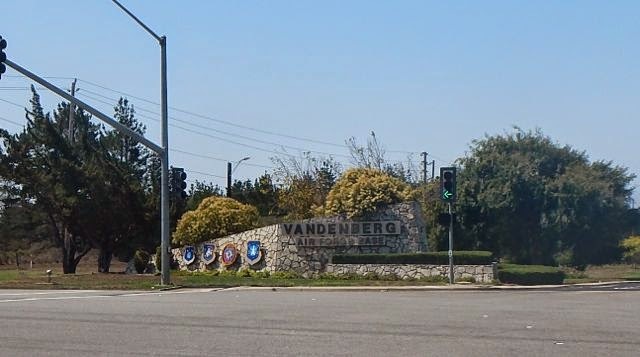 I was dying for a bathroom, but none was in sight and this was Vandenberg Air Force Base - probably a camera on every tree and no way was I going to drop trou there. Bob and I finally climbed out and caught up with Stacy on top with a SAG vehicle bearing water and beverages. She was waiting for Greg and John, who we had passed walking the hill (we've all been there). It was pretty downhill all the way to Lompoc and we flew along grandly except for the big, steep rollers. 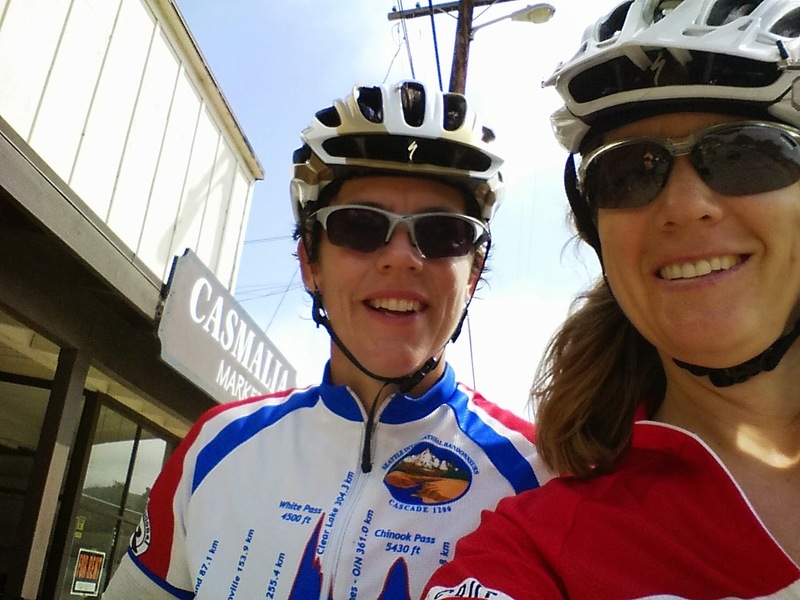 At Lompoc, we kept with Stacy and skipped a stop. Intersection Shot: I'm getting better at selfies right? I had lots of water and quite a bit of food still. 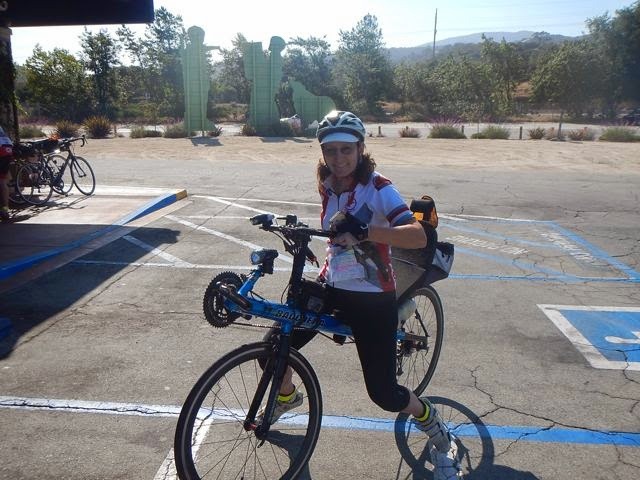 The next stop was Gaviota Pass - Stacy went ahead as she had a bit more energy. Bob and I slogged our way up with the wind swirling around. We wondered if the recumbent coming towards us was Vickie but it turned out to be Matthew. "You are almost there! ", he yelled. Okay, we had 5 miles but still it made me feel better. Vincent from Seattle also passed us. I noticed everyone descending looked happy. It was hot on the pass and we stopped to refill bottles on the way up, there were 2 SAG vehicles manning the pass. Like I said, stellar support - just the nicest people you have ever met. I also stopped to use the little girl's tree. So we got to Gaviota and the turnaround and realized the wind was to our backs. We refilled but stopped only long enough for Stacy to take pictures. Vickie also caught up as well. So down the hill we went. Vickie of course caught up to us in the recumbent (darn, they are fast downhill). 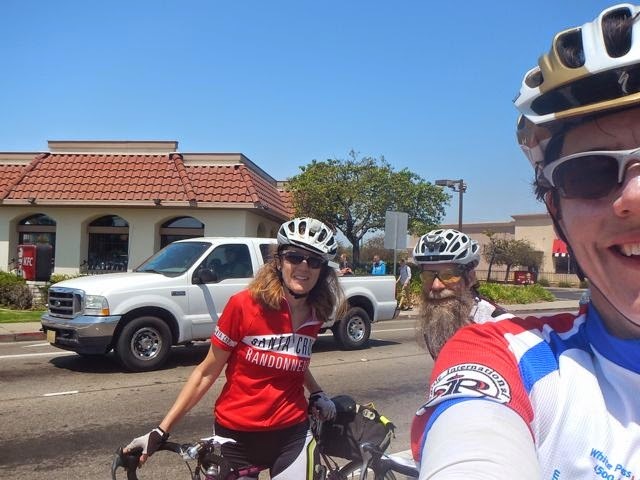 A group of us headed down Santa Rosa Road towards Solvang. We had a tailwind now and made good time despite more hills. It was still hot, but manageable. Bob and I talked about bike geometry and other decisions a rando just has to make. We finally got to Buellton and passed the mini marts on the highway cruising for the open Solvang control. I was totally burned out on sweet things and wanted something like a piece of pizza. Solvang itself was really crowded! Antique shops, gourmet restaurants and yuppies were everywhere. Unfortunately, fast food was not to be found. Though nice, the faux Scandinavian of Solvang also did not impress a girl from Minnesota. No one does faux scandinavian like we do. We found a bakery, but neither of us could stomach more cookies. Finally, we found a Subway. We both got foot longs taking the second half for later. It was the longest I stopped on the entire ride at a control - over an hour to root the way through it all. If only I had needed an evening gown or maybe some diamond studs for my reflective gear. 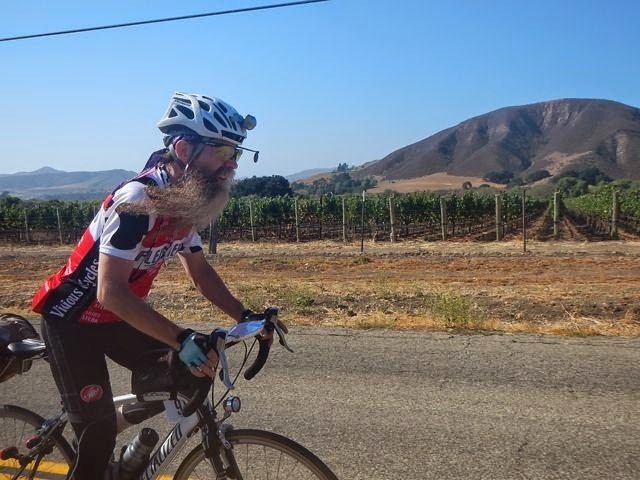 Next time I do this ride, I'm tanking up at Buellton and buying a Snickers at Solvang! So the last 100k was in front of us, unfortunately, so was a big hill. Time to climb again. I had to finally raise my saddle and take a bunch of Advil which I borrowed from another rider, Yogi who was a friend of Stacy and Greg. We climbed up to the top of the first hill as the sun started to set. A very ritzy couple was having a photo shoot for an engagement picture (the rock was the size of a cliff shot). I was brazen enough to have the photographer take our picture. We were in the last stretches. 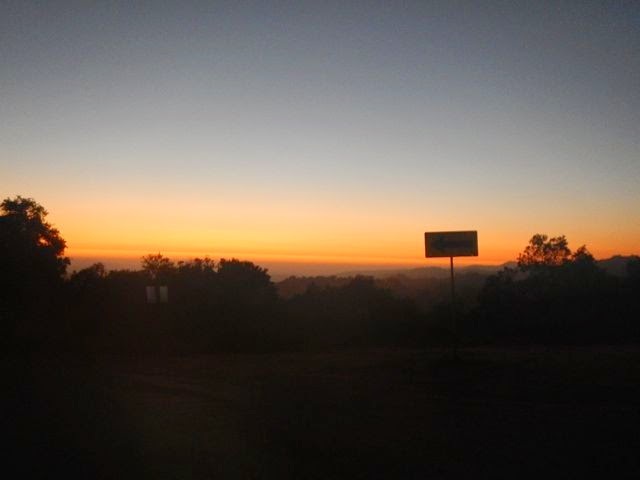 My last picture of the sunset on Foxen Canyon Road as we started the big descent. This was about 20 miles long. Another SAG stopped to make sure we were okay, I got some fig newtons and some more Advil from the driver. Just in case. The next miles were in the flats, very flat, very straight through farmlands. I took a caffeine pill at the first sign of fatigue and did some pulling into the wind for Bob - hey he had another day of riding, I was nearly done. We resolved to stop and eat the rest of the Subway at the last Info Control. Yogi caught up as he hadn't been feeling well and was planning to stop in Santa Maria for hot food. We finally lost him after he stopped to use the little boy's cactus outside town. Another SAG drove by as we rolled through town towards Buff Canyon, a pretty and secluded road. At the end of the road was the control, next to a freeway. Darn, all that nice quietness and now we eat next to a freeway. At least there was no temptation to stick around. Only 30 miles to go from this point. We kept on going with traffic fairly thin. I had a picture of the elevation profile which showed one last big spike. We nearly got lost and had a scare with a car that U turned and speed up towards me. I hit the brakes and jumped off the road in fear. One never knows. Okay, that last spike was about 600ft of climbing and long. I admit it took me aback. Finally we were at the top and one last big downhill. About 7 miles from the end another SAG vehicle came up behind us. "How are you?" "Well, I think I am done and feeling like pedaling back to the Best Western". He laughed. 2 miles from the end another SAG offered me a cappuccino. Are these guys awesome or what? So at 2:30 AM, Bob and I rolled into the Best Western Parking Lot. Lois was there and congratulated me on my finish and signed Bob's card. He promptly went to bed asap having another day to do. Charlie and Stacy were there too and asked me to go to breakfast at IHOP. Rare finish picture of RoadPixie with receipts. Thanks to Lois for taking it. So I had a huge breakfast at IHOP with my friends. Charlie had gotten caught by the wind and DNF'd at Monterey, but he was still happy. But I also gathered that a rider had been killed and Stacy pulled me aside to tell me it was Matthew. He had been hit by a pickup with a trailer in the flats on Foxen Canyon Road. I was stunned, incredulous. I had the same feeling when my brother died. Sad, shocked, amazed and those last couple days seem to replay endlessly. So many what if's go through everyone's minds. He had been hit in broad daylight and was alone at the time. What if one of us had been with him? Would it have made a difference? Stacy asked that I not tell anyone, but since we were friends, she didn't want me to find out from someone else. I got back to the room at about 5 and Vickie was sleeping. I resolved not to say anything - but she had already known. I was too tired to really converse with only an hour of sleep. I'm not sure I made any sense. I went out to the finish having left my camera there the night before and saw Bob just leaving (he left his glasses at the finish the previous night). I wished him a great ride. He finished that night at 88 hours. Vickie finished as well about 30 minutes before Bob. Congratulations to both of them. It was a tough ride and the tragedy at the end does not diminish the accomplishments of everyone. This was a huge ride for me. I felt great at the end. I had no skin lesions, no pneumonia, no bleeding. I just had memories of wonderful times with wonderful people. I also know that I got to ride one last time with one of my favorite riders. I will always remember him waving at me and telling me I was almost there. I'll remember debating diamond versus recumbent frames and which parts hurt on each. If I do PBP next year, perhaps I'll bring some Skittles to eat on that last day and think of happy times. My most heartfelt thanks to Lois, Bill and the many volunteers that made this such a great ride. I hope to do it again the next time. I also have some new friends too and California will definitely be on my short list for next year.